Matt & I were very sad to leave Naibor & the Mara after a couple of unforgettable days. We had some fantastic game viewings and only saw 7 other cars during our 5 game drives. There is something to be said for going to the Mara in the off season!! Next stop Zanzibar. ….but first we had to clear the buffalo off the runway! 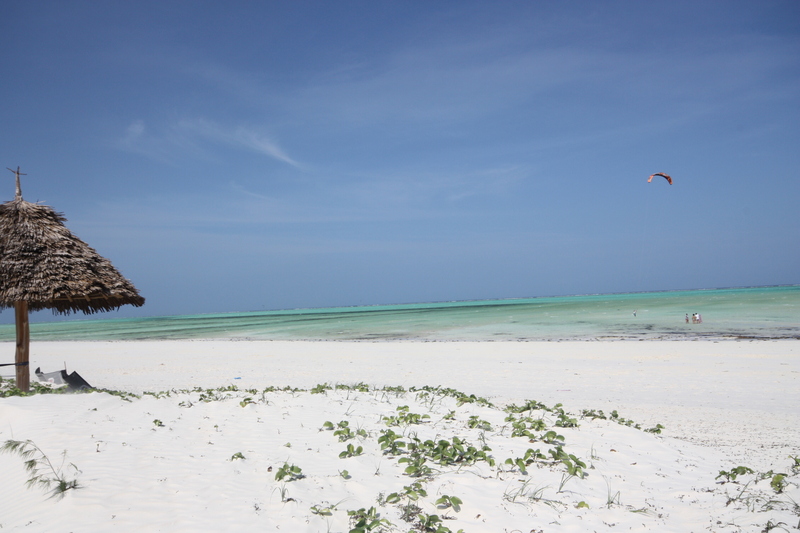 I last went to Zanzibar 19 years ago so I was fascinated to see how it had changed. We landed at 8.30 in the evening and were met by Antoni Rygiel, GM and Natalia Niznik, the Executive Assistant Manager & daughter of the owner of Zanzibar White Sand Luxury Villas & Spa. 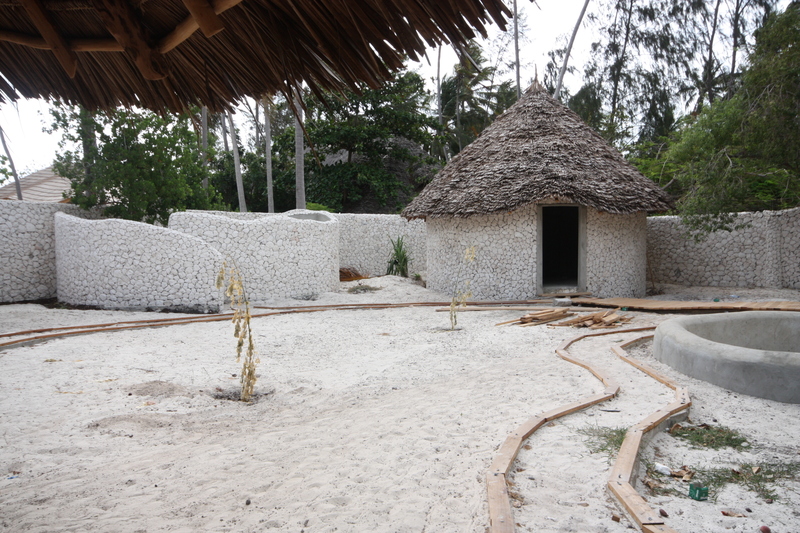 Our first stop was the newly opened 6 degrees South restaurant (www.6degreessouth.co.tz). It was ultra cool & I felt like I was sitting in Cape Town rather than the old, shabby Stone Town I remembered! 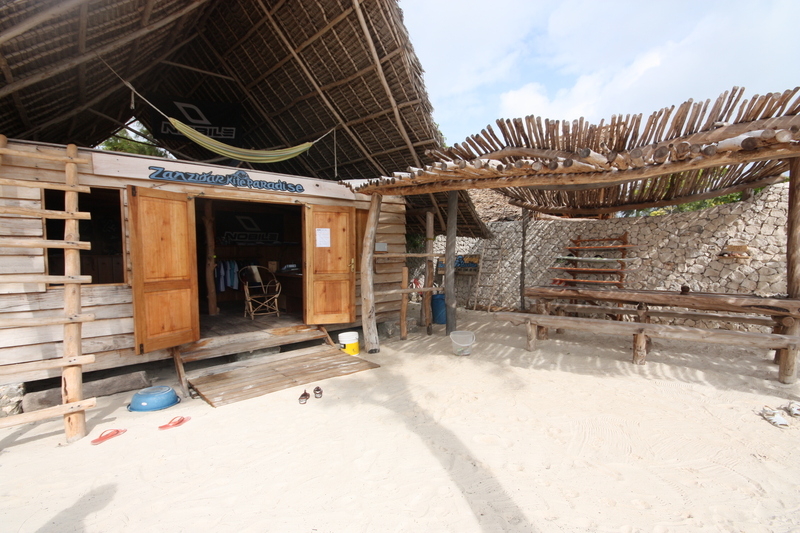 I would highly recommend it to anyone needing a watering hole in Stone Town! After a pre-breakfast plunge pool swim we were treated to a delicious breaky of unbelievable fresh fruit, still-warm Mandazi (donuts…..my new year diet is on hold!) and freshly squeezed orange juice. Fuelled up we were ready for our tour of the property. 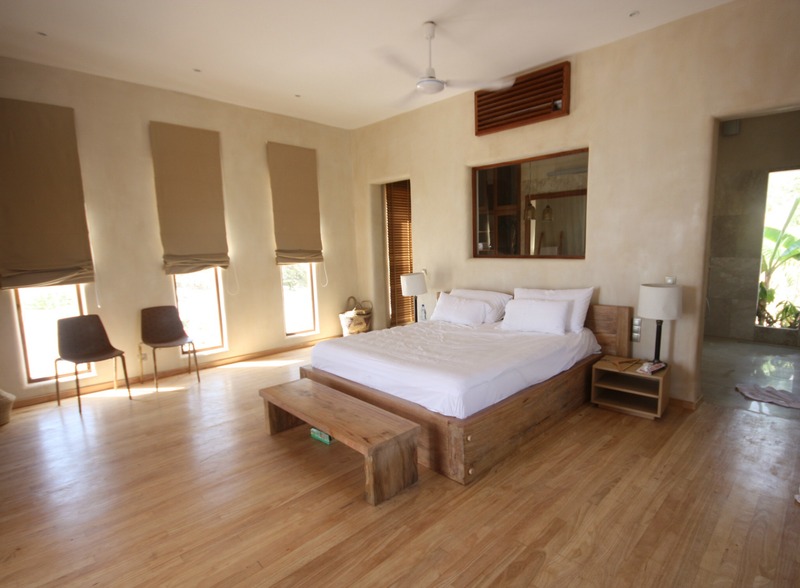 ZWS consists of 5 one-bedroom villas, 5 two-bedroom villas and a 3 bedroom villa. 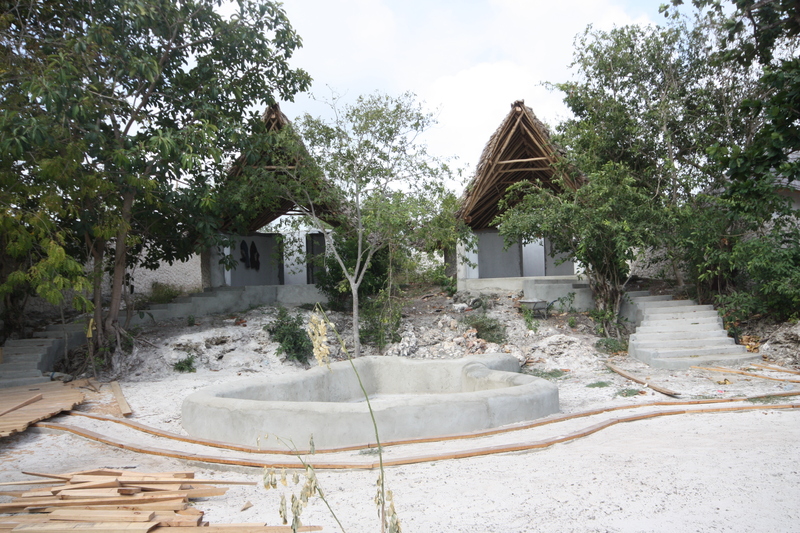 The one bedroom villas are all finished & ready for the hotels first guests who arrive on 20th Feb. 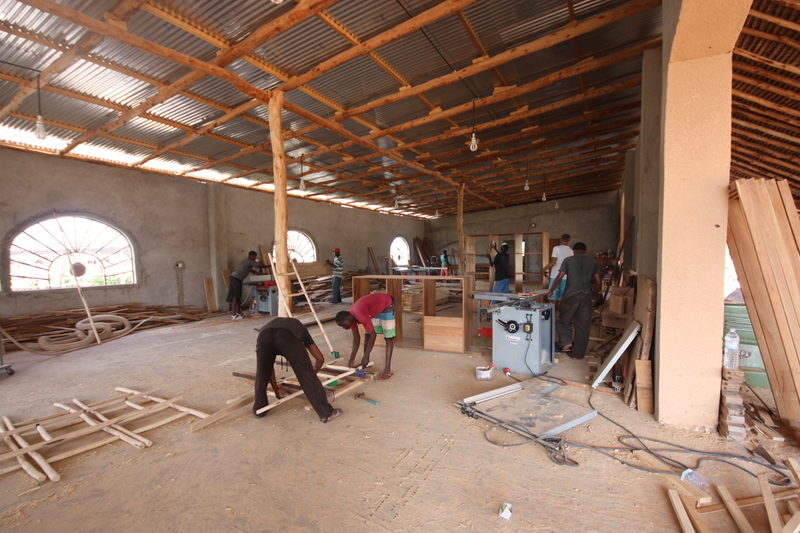 The two & three bedroom villas still have some finishing off to do but there is a 200 strong workforce working at quite some pace! During our tour Natalia & Antoni also showed us their carpenters workshop where the majority of the furniture, roofing and flooring are made. 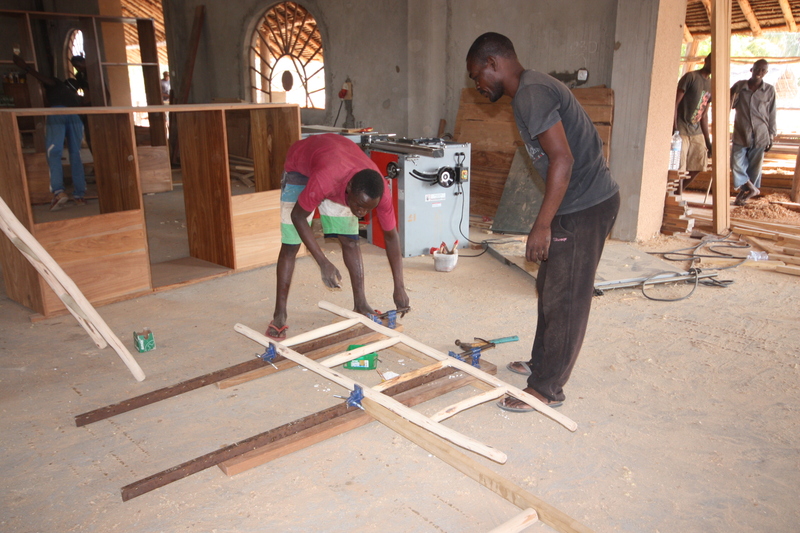 It was fascinating to see how they are combining contemporary styles with traditional methods and using local wood. 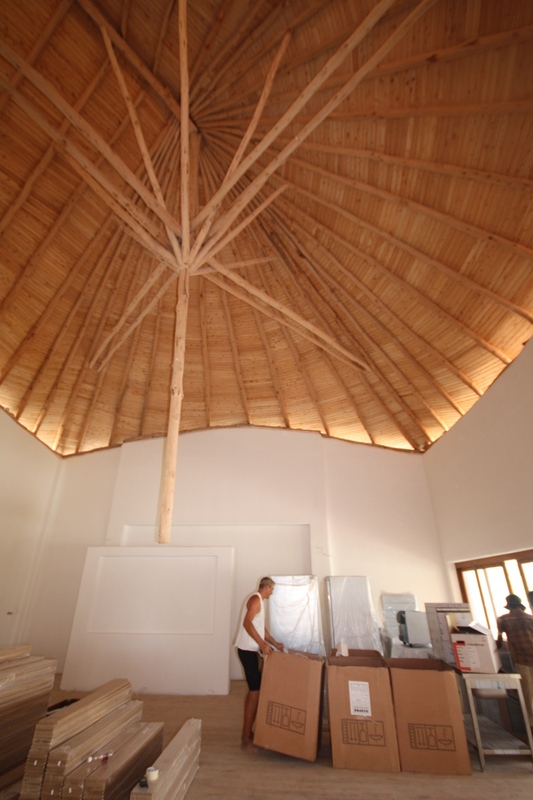 This is the lofty roof in the restaurant. What I hadn’t realised from the photos I had seen of ZWSLVS was how the roofs are a real work of art. 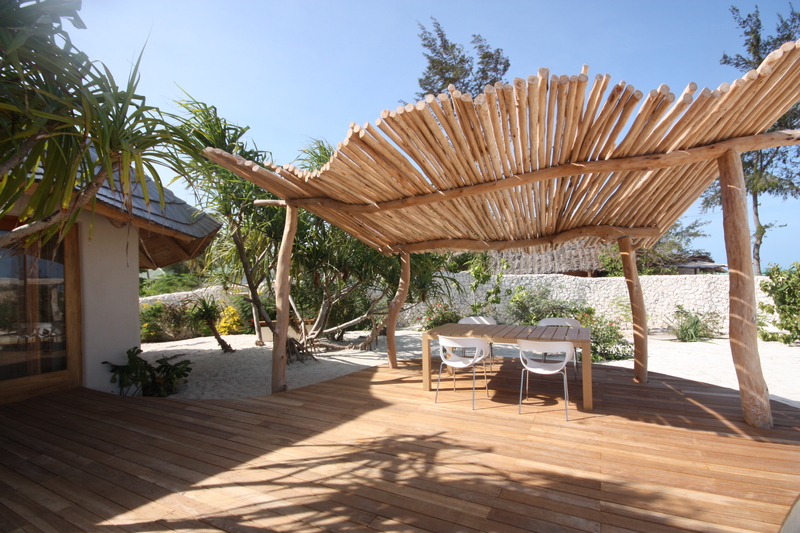 They have beautiful curves and waves within them but are also thatched using wood slats. They will also have a ‘green’ wall which will be full of flowers & greenery. This is the view of restaurant & roof top bar as you drive into the hotel. 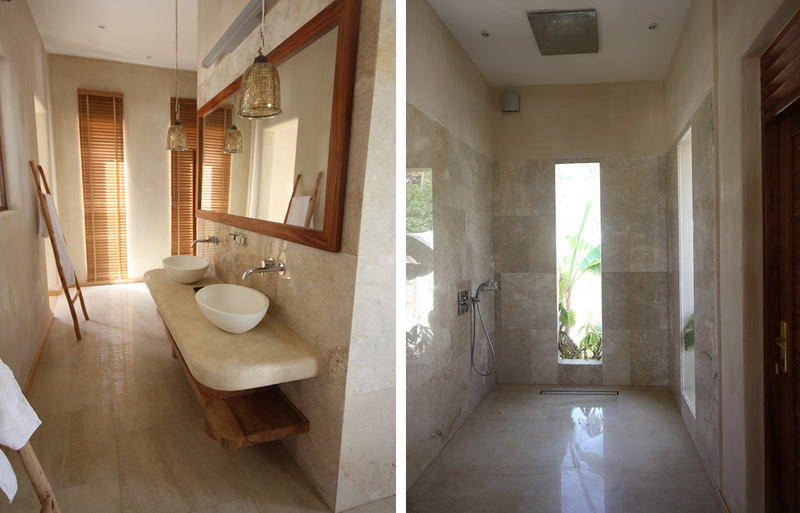 This spa will be in a walled garden with swimming pool, sauna, hammam (picture above) and two open treatment rooms (pictured below). 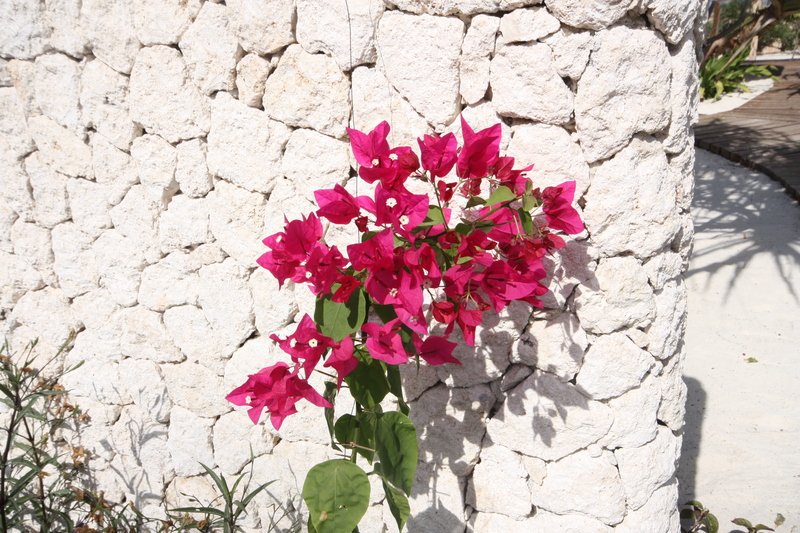 The gardens at ZWSLVS are stunning and colours of the flowers against the white stone walls are beautiful. 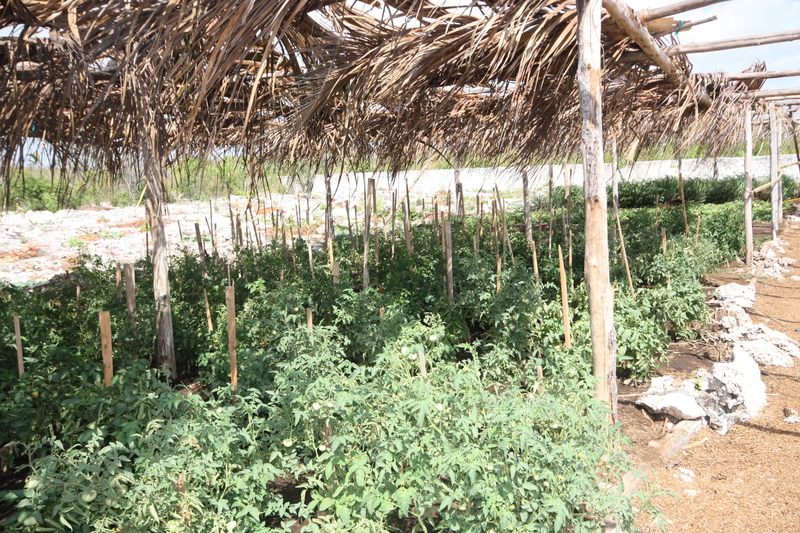 The vegetable garden is blooming with chillies, tomatoes, herbs, salad & lots of other yummy edibles. After our tour & lunch the wind had picked up and the kite surfers were making the most of it. It was so entertaining to sit on our roof terrace and enjoy watching the beautiful kites swirl & fly around…it was like a dance! I have no idea how the 100 or so kites didn’t get completely tangled up in one big kite surfing ball! 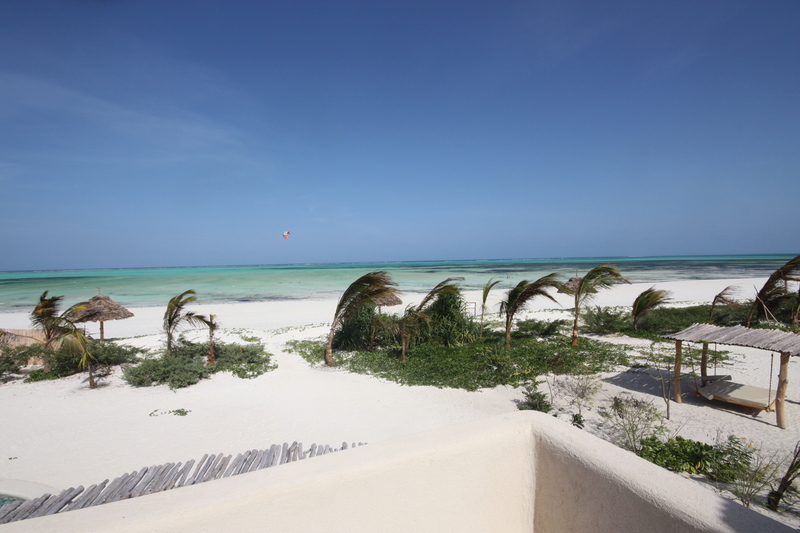 Andre Niznik, the owner of ZWSLVS also owns the kite surfing school next door & his passion for the sport is the reason why the hotel was first dreamed up. Unfortunately the obligatory sundowner had a stronger pull than giving kite surfing a go but I was seriously tempted….particularly as they made it look so easy! 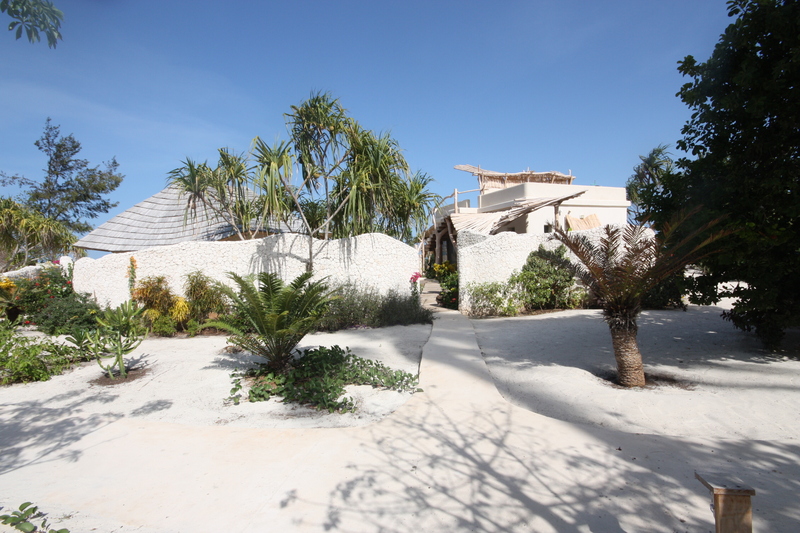 I was keen to make the most of our last day in Zanzibar & wanted to go & visit The Residence Hotel having represented the hotel group previously and before the Zanzibar property being built. I was so impressed at how impeccable the staff & service were and the whole hotel seemed so serene. 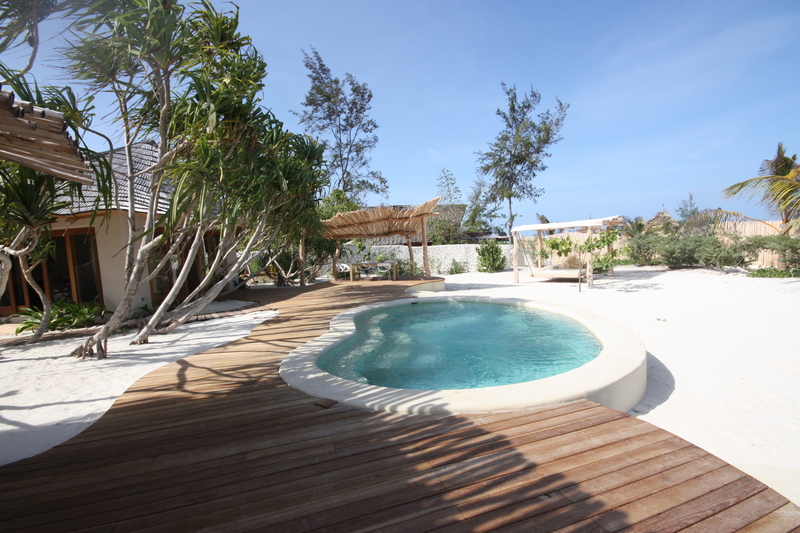 The infinity pool was particularly cool with the glass side walls…..it took all my will power not to dive in to cool down from the Zanzibari heat! 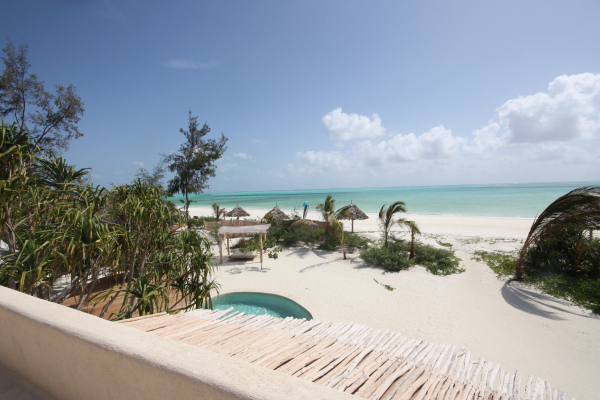 Returning to Zanzibar White Sand, I realised the reason why I love working with smaller, more personal properties rather than bigger hotel chains. 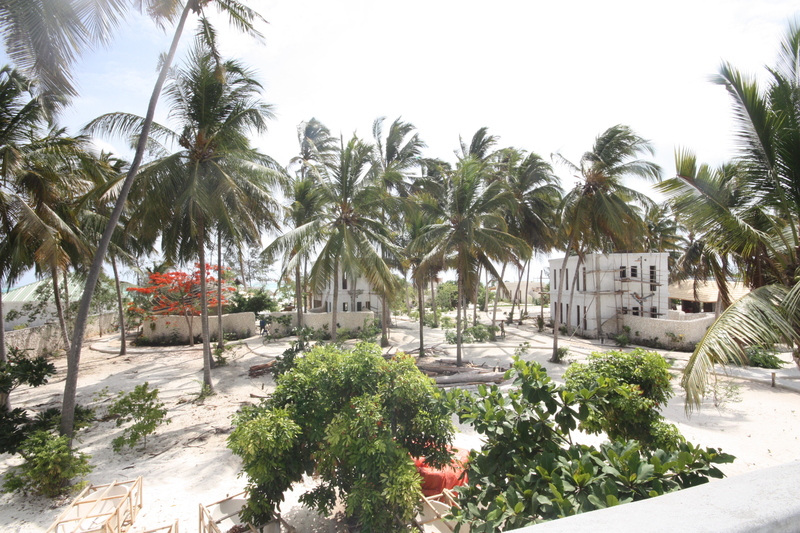 The hotel is a real labour of love built on Natalia’s father’s passion for Zanzibar and it comes through in everything they are doing. It is great fun to be part of that. The service isn’t as slick or serene yet as The Residence (yet!) but the team are incredibly passionate and switched on and considering it is the owner’s first experience of opening a hotel, they have thought of everything. Most of the things I suggested they had considered or were in the process of doing. Antoni the GM has opened two hotels in Europe & Dubai and is very professional and rather than being frustrated by the African pace of doing things, he is enjoying the challenge! I am so glad that I got to see Zanzibar White Sand before it was completely finished as its always nice to then go back & see the finished product. 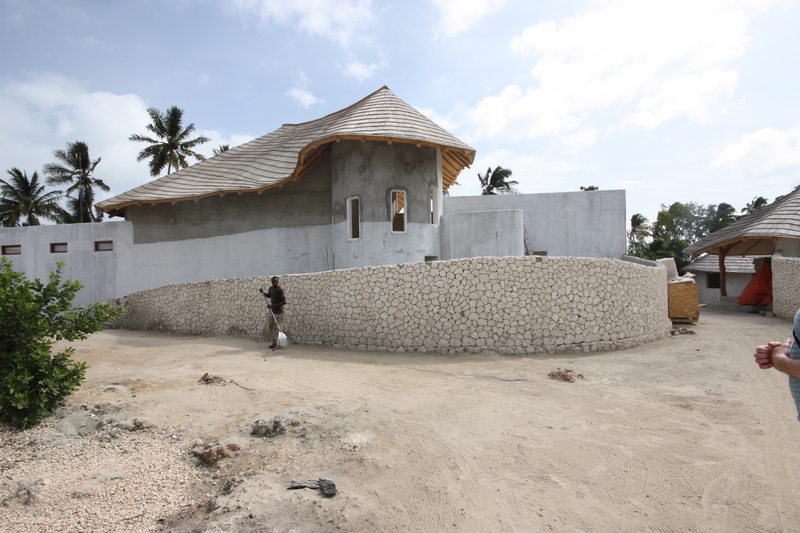 I have no doubt that Zanzibar White Sand will be a real success as the design, the team, the location, the food & the activities all combine to offer something very special for Zanzibar. I will definitely be back very soon and maybe next time I’ll have time to give kite surfing a go!